The limited liability company in Serbia or the D.O.O. (društvo sa ograničenom odgovornošću) can be easily set up by foreigners interested in doing business in an appreciated environment. This is the most popular business structure in Serbia, but instead of dealing with misunderstandings or language barrier, we suggest you address your inquiries to our team of company formation specialists in Serbia. Our team can handle the registration process with the authorities in charge and can also represent the company’s activities in a legal manner. How can I register a D.O.O. in Serbia? The first step for opening a D.O.O in Serbia is choosing a proper name, checking it via the Internet on the Business Registers Agency and appointing a director. The name of the future company can be reserved by a prospective applicant by submitting a special application. The reservation is valid for 60 days and it can be transferred to another businessman or renewed if appropriate. A private limited liability company in Serbia is a company based on a share capital of RSD 100 (EUR 1) and with a maximum of 50 shareholders. 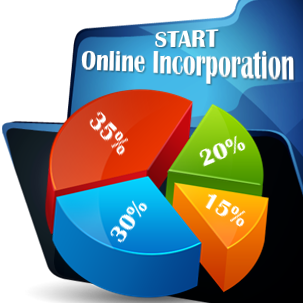 He/ she can be the founder or even a part-time worker if it is specified in the Articles of Incorporation. An OP form with his/her signature as a company responsible must be certified. When choosing the main activity domain of the DOO, the entrepreneur must consult the laws on the classification of business activities and on the registry of categories. This is necessary because approvals need to be received from the competent authorities according to the field of activity. 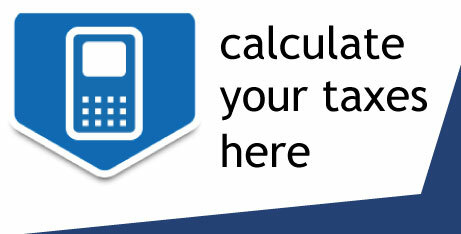 At least half of the minimum share capital must be deposited in a temporary bank account. The Articles of Association containing the above information must be legalized. • the authorized signature of the owners and the managers of the company. When deciding on business in Serbia, the incorporation starts with choosing the structure and reserve a name for the company. A verification in this sense to see if the name you wish to choose is available starts with the Serbian Business Registers Agency, the same institution that approves the name of the company. The Companies Act in Serbia stipulates that the name of the company must be unique and must not contain any offensive words or the ones restricted by the law. An application for reserving a name needs to be submitted to the Serbian Business Registers Agency. We mention that this reservation is available for 60 days, sufficient time for an entrepreneur to incorporate a company in Serbia. How can I register for taxes in Serbia? The next important step after the company is registered in Serbia is to register for tax purposes in this country, in order to properly start the activities. Our team of consultants in Serbia is at your disposal with complete support for drafting the necessary documents for tax registration to the Serbian Tax Administration. A digital signature is necessary for approving all sorts of financial documents and statements in the company and it is normally assigned to the managers of the firm. In this sense, our team of accountants can make the necessary preparations for obtaining a digital signature. If you have decided for externalizing the accounting services for your firm, we are at your disposal with complete support in this sense, as we can handle all the requirements in respect to the International Financial Reporting Standards and the applicable legislation in Serbia. Your DOO in Serbia can receive payroll services, bookkeeping, support for VAT registration and for submitting the annual financial statements in compliance with the local laws. As additional accounting services, it is best to solicit tax planning and consultancy for your company in Serbia, and bear in mind that tax minimization methods might be necessary for cutting the expenses in the firm, from a taxation point of view. Regardless of the chosen business structure, whether you intend to open a DOO in Serbia or any other type, you should talk to us and find out information about the accounting services available for your firm. • the last step in incorporating a limited liability company in Serbia is recording the workers’ contracts at the Employment Fund. How can I open a bank account for a DOO in Serbia? In order to draft the minimum share capital of the limited liability company you wish to set up in Serbia, a bank account must be opened in this country. In this sense, the company’s main documents are sufficient for the chosen bank. The procedure might take a few days until the bank account is linked to the enterprise you want to open in Serbia. Can I ask for virtual office services in Serbia? Yes, foreign investors who want to open DDOs in Serbia can ask for virtual office services if they want to control the operations from abroad. Phone and fax forwarding, a local phone number, mail collection and forwarding, meeting rooms for clients and collaborators are among the services offered through a virtual office in Serbia. Please note that our Serbian team of company formation agents can offer in-depth information about how to benefit from virtual office services. • legislation – the Serbian authorities have adopted new measures for simplifying and advancing the process of company registration in Serbia by unifying the Register for all business entities. If you need more details about how you can open a DOO (LLC) in Serbia, don't hesitate to contact our specialists in company formation in Serbia.